In mid June, Microsoft is expected to start revealing info on the much anticipated Windows Phone 8 OS (aka Apollo) but until that day, we have just crumbs of data to work with. One of those sources comes from peeping OS builds that various developers "see" when looking at their app data usage. Likewise, our own Rogue Code, who makes Ffffound as well as Pocket Meme, has also seen similar numbers in his apps including 8.0.9673, 8.0.9644, 8.0.9627 and 8.0.9699. We assume by this point that Microsoft has to be testing Windows Phone 8 and seeing OS builds floating around probably should not be too surprising. Unfortunately, more info cannot be gleaned from such build numbers making this observation more entertaining than revealing. Turning to our own Google Analytics for this site, we can discern some interesting tidbits as well. Specifically under our "mobile visits" we now have 768x1280 resolution devices running Internet Explorer 10 making rare but occasional stops to our site. Display colors were set at 24-bit (a bump from 16-bit that we usually see) and many pings originate from Redmond, WA. Furthermore, we can officially confirm with other independent sources that 768x1280 will be a supported resolution in Windows Phone 8 in addition to three others including 480x640, 480x800 (current WP7 resolution) and 720x1280. While a WXGA resolution may seem a bit odd, in Jul 2011 Samsung were reportedly working on a mobile phone running that exact screen resolution, albeit sporting Android. To put such a resolution in perspective, as Phone Arena notes "...on a 4.5 inch screen, the pixels per inch would come in at 332, topping the 326ppi reading of the Retina Display on the Apple iPhone 4". No doubt an impressive statistic. Of course we'll just have to wait and see what Microsoft officially tells us in the coming months. Until then, the above info should be treated as rumor/speculation as things like emulators (versus actual hardware) may be playing a role. 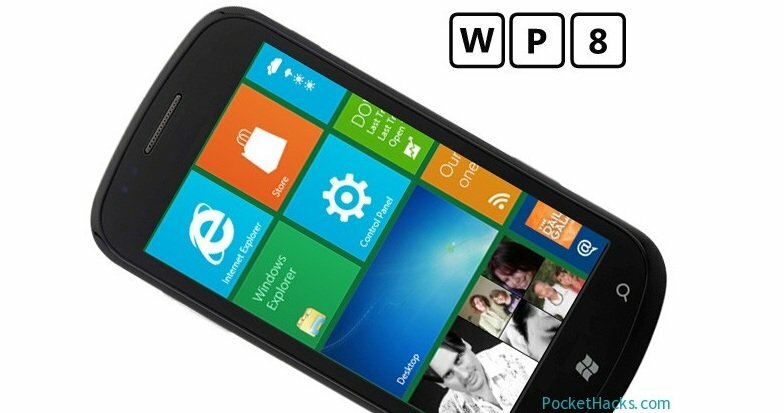 Still, we think the info presented above is accurate and will be the path for Windows Phone 8.